First, I want to thank Karen for organizing this symposium, all my fellow participants for their amazing work, and especially Angela for writing such an incisive, provocative, and important book. Second, I want to set up this post, which is basically a long set-up to one question or set of questions. I’m going to wind my way through some philosophy and some sound studies to then ask about gender/race/sexuality. Contracts, according to Mitropoulos, “allocate uncertainty” (47). They naturalize it, obscure it, and make it productive. Uncertainty, fallibility, and “limited human knowledge” (44) are inevitable, so each type or theory of contracts attempts to domesticate these epistemological bugs and turn them into political-economic features. That transformation or translation is the work of what Mitropoulos calls oikonomics, which I’ll return to below. Contracts are epistemological just as much as they are social or political (or oikonomical). In this way, Mitropoulos’s text helps us understand why Charles Mills had to begin his argument in The Racial Contract with an extended discussion of the “epistemology of ignorance.” I don’t have time to develop this point here, but it would be interesting to use Contract & Contagion as a way to bring the last decade or so of feminist scholarship on epistemologies of ignorance back to bear on contract theory and political economy. Mills argues that the racial contract is a “cognitive dysfunction that is socially functional (RC 18).” Mitropoulos suggests that what contract does, especially the classical contract, is provide an answer to this question: Which cognitive dysfunctions make society function in the way that is best for us? Or, how do we treat uncertainty (cognitive dysfunction, what is unknowable with accuracy) so that society can function in specific ways? (C&C 40-42). These “specific ways” are, of course, white supremacy, heteropatriarchy, and capitalism. Contract, in its various historically specific forms, organizes uncertainty to allow for the ongoing vitality and reproduction of white supremacist capitalists heteropatriarchy in its various historically-specific forms. Contracts organize uncertainty not just rationally, but with ratios. As Mitropoulos explains: Contract is engaged in a constant rationalisation–or better: ratiocination, in the sense one may speak of ratio as calculation and of rationing as the apportionment–of its uncertain conditions (26). Contracts mobilize ratios to distribute uncertainty in ways that allow for the faithful, fidelious reproduction of white heteropatriarchal capitalism. How does this work? What kinds of ratios are used? How are ratios measured or balanced? I want to spend the rest of my post focused on this issue of “ratio” because it gets straight to the heart of oikonomics, both as a historical concept and as a contemporary practice. The purpose of oikonomics is to measure and balances these ratios. But what is the nomos of the oikos? How is the oikos measured and balanced to best transmit and reproduce systems of privilege? 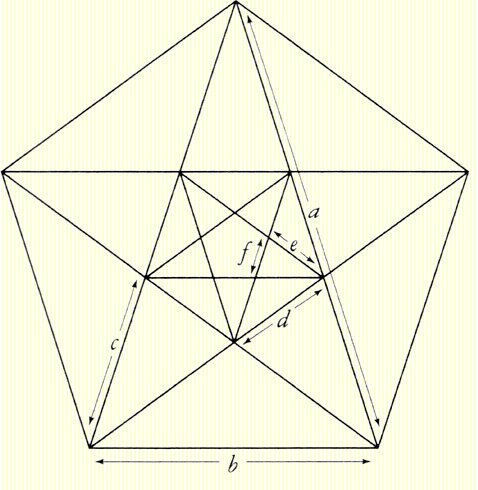 The ratio-nality of oikonomics is harmonic. This is not just because the ancient Greeks understood musical harmony in terms of ratios (i.e., of geometric proportions such as 12:9:8:6, as in Pythagorean music theory), or because nomos is also a kind of ancient Greek song, but also because the ancient Greek concept of “intimate self-management” (C&C 22) or “self-command” (C&C 28)–i.e., sophrosyne–is premised on their theory of musical harmony. Plato, for example, often uses sophrosyne and “harmony” interchangeably, especially in the Republic. Sophrosyne, generally translated as “moderation,” is the practice of bringing one’s mind and body in proper proportion (so that individual mind:body::intelligible:visible as expressed in, for example, Plato’s theory of the divided line). A moderate man’s life appeared harmonious because it exhibited a “beautiful order and continence of certain pleasures and appetites, as they say, using the phrase ‘master of himself’” (Republic 430e; emphasis mine). A moderate “order” was “beautiful” because it was harmonious, proportionate, and followed the same “ratio” that ordered the Beautiful itself (aka the Good or the True). Ancient Greek sophrosyne was also a practice of “self-mastery,” as Foucault puts it in The History of Sexuality volume 2. As such, sophrosyne is the ancient Greek version of what Mitropoulous calls oikonomical “self-command.” This self-command was the “law” or nomos–the harmony, the song, the measure–that the true and proper master of the oikos ought to embody, and which he ought to make his oikos likewise embody (see Plato’s Phaedo for the relationship on self-command to the command of others). Sophrosyne is what, in ancient Greece, joins the oikos to the nomos, as Mitropoulos discusses in her introduction to this series. Oikonomics, as a matter of sophrosyne in the ancient Greek sense, is a practice of maintaining a proportional life. Synthesizers, especially the analog synths that were common at the time Attali wrote Noise (1977), are, for Attali, the clearest example of the coincidence of algorithmic music and technocratic machinery: you put in one kind of algorithm (a computer program), and another one (a sound wave) comes out. He also claims that “the synthesizer” operates with the same “simulacrum of self-management” (Noise 114; emphasis mine) that is attributed to a nominally “free” deregulated market. The synthesizer, with is algorithmic inputs and outputs, embodies neoliberal sophrosyne. So how would algorithmic moderation and self-management work? What counts as algorithmic moderation? What ratio should an algorithmically self-managed practice embody? Algorithmic moderation measures the ratio of signal to noise in a tone, broadcast, or data set. This ratio is not a geometric proportion, but a statistical probability—the probability of finding noise in the signal. It is calculated and expressed as one’s position relative to an asymptote—i.e., a limit. At the level of individual self-management, the asymptote is, as are all asymptotes, “a threshold that cannot be crossed” (Foucault Birth of Biopolitics 136). This threshold is the point of diminishing returns beyond which any attempts at maximization cease to be profitable. As a practice of moderation, the asymptote manifests as the imperative to “somehow push them[selves] to their limit and full reality” (BoB 138) while “governing at the border between the too much and the too little, between the maximum and the minimum fixed for me” (BoB 19). It’s easy to visualize that maximum and minimum as the upper and lower asymptotes of a sine wave. Neoliberal sophrosyne is the practice of distorting oneself as much as possible–being as “loud,” as “gaga,” as manic-pixie-dreamy, as “ludacris” as possible–without upsetting the overall signal. Sophrosyne translates algorithms to affect, mathematical propositions to kinesthetic and aesthetic properties. If human capital is “the unfolding of (capitalist) economic logic onto putatively non-market behaviours” (149), sophrosyne explains how market mechanisms can manifest in and across bodies as affects. So how, then, does acoustic sophrosyne relate to oikonomics? Mitropoulos argues that “human capital theory is a theory of oikonomia” (149). Interpreted through my reading of oikonomia as (acoustic) sophrosyne, this means that building capital in oneself is a matter of behaving moderately–of maxing oneself out while minimizing the noise one feels. That is, you build capital in yourself by maintaining the proper signal: noise ratio for someone in your position. If you’re relatively privileged, this means that you maintain your signal:noise ratio by dumping any noise that would set you off balance on to someone(s) with less privilege. As Mitropoulos explains, “oikonomia legitimates the distribution of surplus labour, orders the excesses of affection, allocating its subjects and objects” (174, emphasis mine). I interpret “excesses of affection” as noise, or as ir-ratio-nal affect. These “excesses of affection” are ordered so that any diminishing returns are experienced primarily by women, non-whites, and queers. Privileged subjects get to go to excess, to push themselves beyond their own limits, because their push is fueled by the excess or surplus labor of, say, “women’s work.” Or, one can go to “ludicrous speed” and still emit/receive a rational signal if and only if white cisheteromasculinity filters out the excess noise and sends it back to women, non-whites, trans* people, queers, and so on. In other words, the oikos, in its “genealogical” (in Mitropoulos’s sense) work, sets and maintains the signal:noise ratio (the nomos) proper to each kind of subject or subject-position or population segment. The oikos is the producer behind the glass setting all the levels, pushing the sliders, and twisting the knobs on the big mixing board that is biopolitical capitalism. Or, from another perspective, the oikos is the background against which some kinds of distortion and noise sound good, and others sound bad. I’ve been pretty abstract and schematic thus far. How might we make this analysis more concrete? In particular, I would like to think about how my concept of sophrosyne as signal:noise ratio relates to the oikonomic management of affective labor. I mean, in a certain sense this is what C&C is all about… but I would like to make these connections more explicitly. How does oikonoimics position some kinds of labor/laborers/”bare life” as impossible to moderate? In ancient Greece, women’s bodies and slaves bodies were thought to be too disproportionate to ever produce properly moderate ideas and/or speech. (This is why, as Anne discusses/will discuss in her post, ancient Greek household management (aka oiko-management) means tuning the women to follow the sounds of men’s speech.) What’s the acoustic/neoliberal equivalent? Is there one? (How) Do patriarchy and the legacy of slavery (e.g., the Prison Industrial Complex) produce populations as inherently noisy, unbalanced, etc.? How does big data work algorithmically to produce specific populations as immoderate? Mitropoulos argues that oikoniomics is about genealogical transmission. Might we think of contemporary, algorithmic/acoustic oikonomics as transmitting property, wealth, and privilege in the manner that broadcast signals or electrical signals are transmitted? How does the issue of noise relate back to the opening idea of uncertainty? Where does “contract” come back in to signal:noise ratios and moderate practice? This is a question about philosophical aesthetics, but it relates back to the role of contract in apportioning uncertainty, on the one hand, and affect, on the other. The phrase “as if” recurs throughout Contract & Contagion. For example, Mitropoulos cites Keynes, who claims “we are compelled to behave ‘as if we had behind us a good benthamite calculation’ because we are compelled to act as ‘practical men’” (43). Or, later, she says: “It is not, then, authentic human sociability that is valorised in affective labour, but the apparently genuine circulation of affect as if it is not work” (174; all underlined emphasis mine). What is the role of the “as if” in (a) contract and (b) Contract & Contagion? How is this “as if” related to the “as if” in Kantian aesthetics? Kant’s ethics and aesthetics are an explicit alternative to social contract theory’s answer to the question: “so now that everyone is free and self-managing, how do we exist together in society?” Social contract theory says we consent to give up some of our self-management in return for some security in ourselves and our property. Kant, however, turns to the categorical imperative and the judgment of taste–i.e., to the ideal of subjective universality, or the idea that every single individual would/ought to freely choose the same thing. If in the 18th century Kant’s ethics and aesthetics were an alternative to social contract theory’s framing of the issue of self-management, is it perhaps one of the things that gets “subsumed” by neoliberal capital and contracts? Or, if Kant uses affect and aesthetics as an alternative to classically liberal contracts, is the prevalence of the “as if” in C&C evidence of the “real subsumption” of this Kantian understanding of the aesthetic in neoliberal oikonomia? In Kant, women weren’t capable of the “as-if”: they could neither act nor appear “free” in relation to labor. For example, women could not produce beautiful works or themselves be beautiful in character–they could only be/make charming things. How does Mitropoulos’s concept of oikonomia help us see how the gendered, racialized “as if” works similarly in our understanding of affective labor and its relation to “free” markets and “free” subjects? Republic 410c, he states that “guardians,” or the masters of the city, “…should possess both natures,” mind and body, that these natures must “be harmoniously adjusted to one another…And the soul of the man thus attuned is moderate” (emphasis mine). “his whole soul [is] brought to its best by acquiring moderation and justice accompanied by prudence…in proportion as soul is more honorable than body” (Republic 591b). In fact, even Foucault emphasizes that sophrosyne is a matter of proportion: “it was this prior condition of ‘ethical virility’ that provided one with the right sense of proportion for the exercise of ‘sexual virility,’ according to a model of ‘social virility’” (Foucault HSv2 83). “The place of an individual in the modern economy is no different from that of [Philip] Glass’s interpreter: whatever he does, he is no more than an aleatory element in a statistical law. Even if in appearance everything is a possibility for him, on the average his behavior obeys specifiable, abstract, ineluctable functional laws” (Noise 114-5). “A product of art appears like nature if, though we find it to agree quite punctiliously with the rules that have to be followed for the product to become what it is intended to be, it does not do so painstakingly. In other words, the academic form must not show; there must be no hint that the rule was hovering before the artist’s eyes and putting fetters on his mental powers” (Kant CoJ section 45.2). “Hence fine art cannot itself devise the rule by which it is to bring about its product. Since, however, a product can never be called art unless it is preceded by a rule, it must be nature in the subject (and through the attunement of his powers that gives the rule to art; in other words, fine art is possible only as the product of genius” (45.3). Fine art gets its rules indirectly, non-consciously, from the ‘natural’ attunement of material/nature of the genius. Robin James is Associate Professor of Philosophy and Women’s and Gender Studies at UNCC. 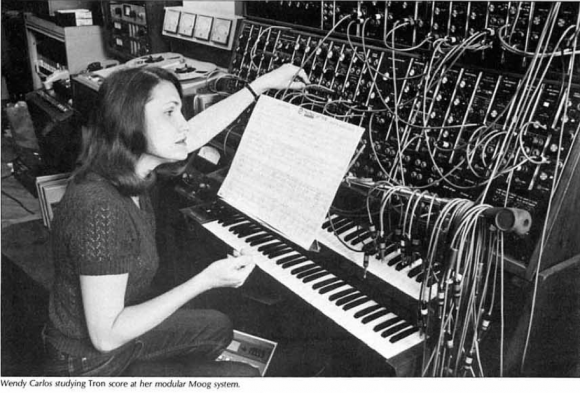 She is also a sound artist and regular contributor to Cyborgology. She can be found on Twitter @doctaj.